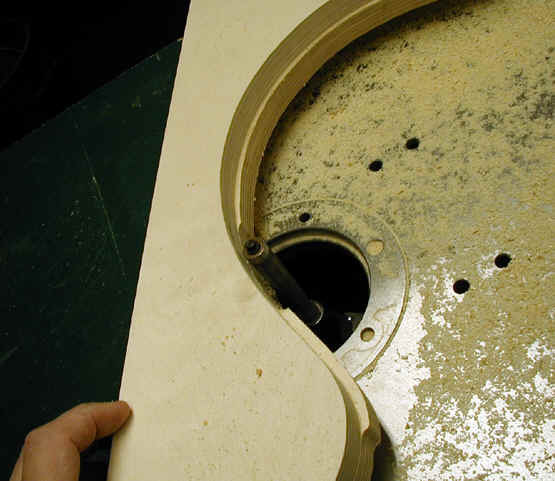 The process of making a mold is actually relatively easy. I start with a very carefully made half template made of 3/4" baltic birch plywood ( a very high grade of plywood - which has no voids). The shape of the new mold is first drawn/traced on to a nice clean piece of poster board and then traced onto a piece of baltic birch plywood (a high grade of ply with no voids). the shape is carefully cut on the bandsaw - slightly proud of the final line. This is then sanded with a drum sander to the exact line with smooth fair curves. 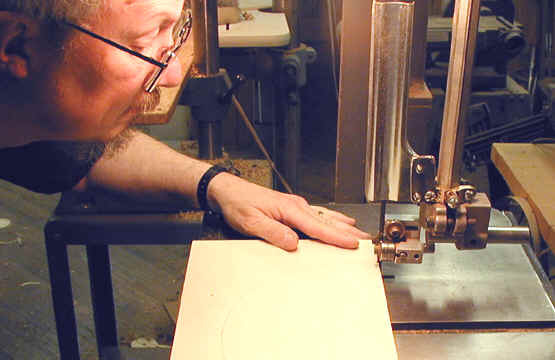 Then it is simply a matter of using a piloted cutter in a router (or here - in the router collet of my shaper) to duplicate this shape. I use double stick tape to duplicate the original for the "other half" of the guitar outline, and then I start gluing up layers (and trimming each layer as I go) until I reach the desired thickness. 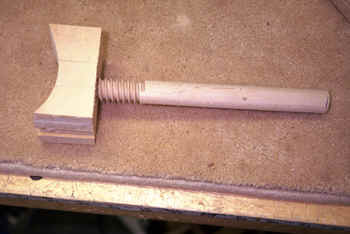 This one (which will be an "assembly" mold for my parlor shape) will be 2 1/4 inches thick. Another view of the trimming process. 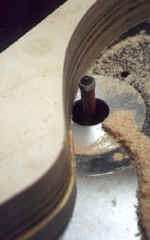 Another view of the router bit cutting a new layer to the shape of the earlier layers. The next step is to hold the two halves of the mold together. I used to use mending plates screwed into the top and bottom surfaces. This works better. 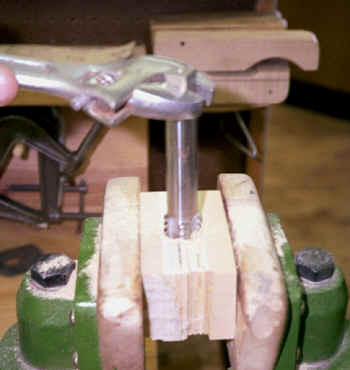 It is a toggle clamp (available in many of the current woodworking catalogs) which draws the two halves together. It is adjustable for a tight fit. 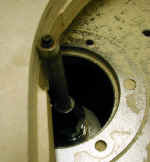 The dowel which spans the joint between the two halves, and is glued into one half) serves to ensure that the two halves are in perfect registration. This works really well. 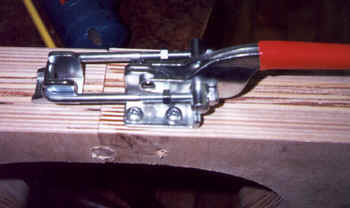 The next step is to make the spreaders which are used to hold the ribs firmly and accurately in the mold. 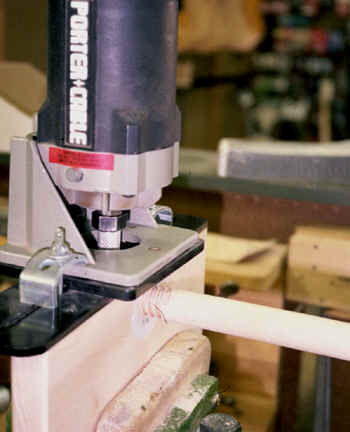 I use threaded wooden dowels to do this. The threaded dowels are made with a jig which is made by BEALE, and can be found is several of the woodworking tool catalogs. this works quite well. The next several photos show how this is done. 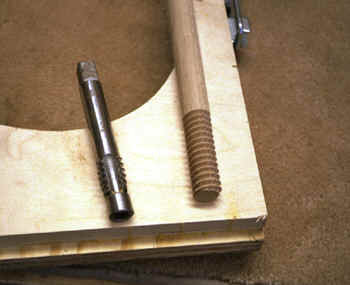 This photo shows the jig used to thread the dowel.